Two weeks ago, I asked a question. Now, after this week’s Inuyashiki I can’t help but ask the same question once again: Is Inuyashiki actually some kind of weird power fantasy? We saw the raw use of power from Ichiro a few weeks back, and now see the other side of that same idea this week, with Hiro. 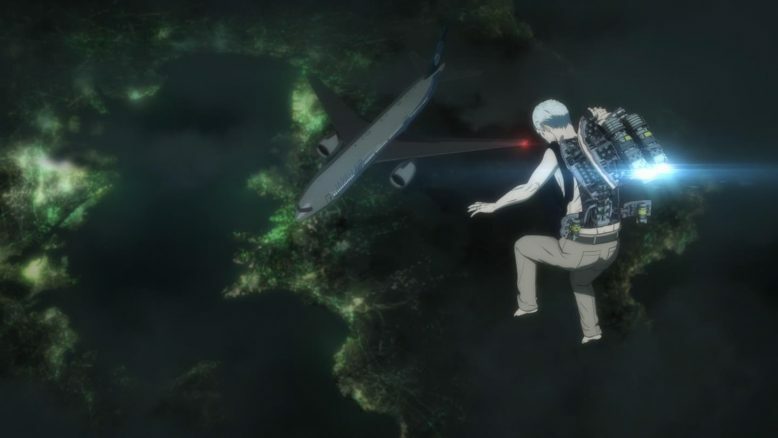 And with all of that, even as I continue to watch Inuyashiki, I still can’t seem to understand the overall point of it all. Just what IS this show trying to say by depicting and showing the things that it shows each week? Nothing about this week’s episode was really too unexpected. 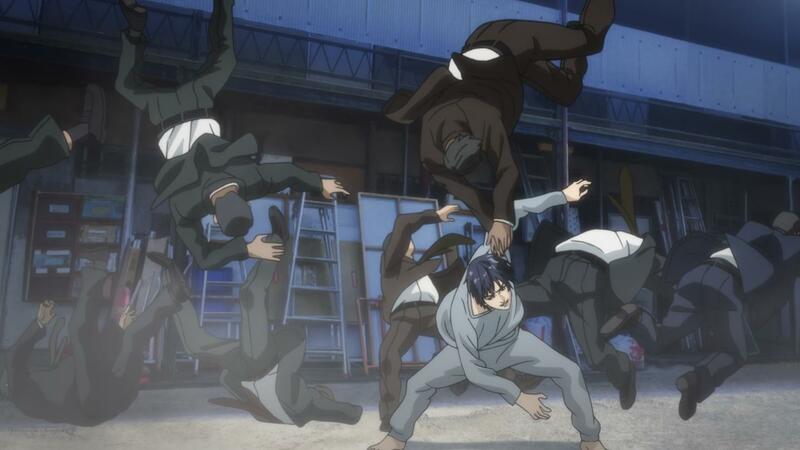 Hiro ran away from the police men, and then his world came crashing down soon after. His mother’s heart broken, she went on to commit suicide, while the myriad of reporters and onlookers continue to harass both her and Hiro’s father. Hiro, in retaliation, went off the rails and began exacting his “revenge” on the people he held responsible, the media and the trolls of the internet (2chan). Here’s the thing about the whole 2chan part of this story, it just screams power fantasy. 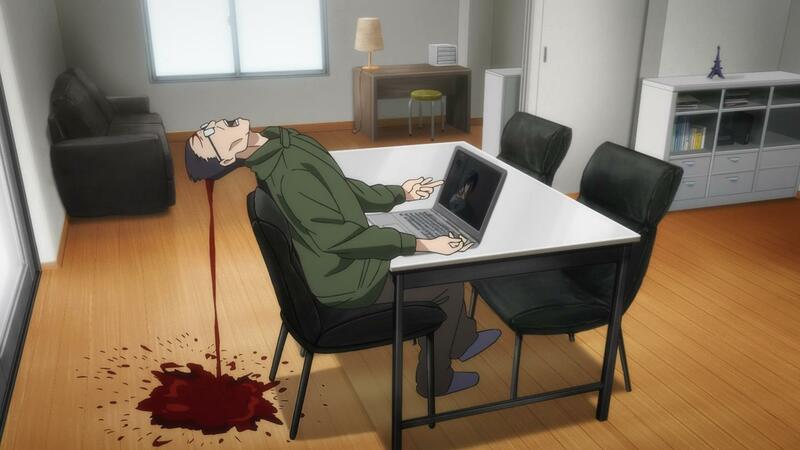 The fact that Hiro is able to fubd all these ugly pathetic men behind their anonymous usernames and kill them in such gruesome and horrible ways, feels like some sort of self satisfaction insertion on the part of the creator/writer. As anyone who’s been on the internet will tell you, annonymous internet trolls who get their jollies off messing and hurting people, is really the scum of the earth, at least in our modern times. So I’m sure there were some people, who found some glee from these internet trolls, getting what they “deserve”. 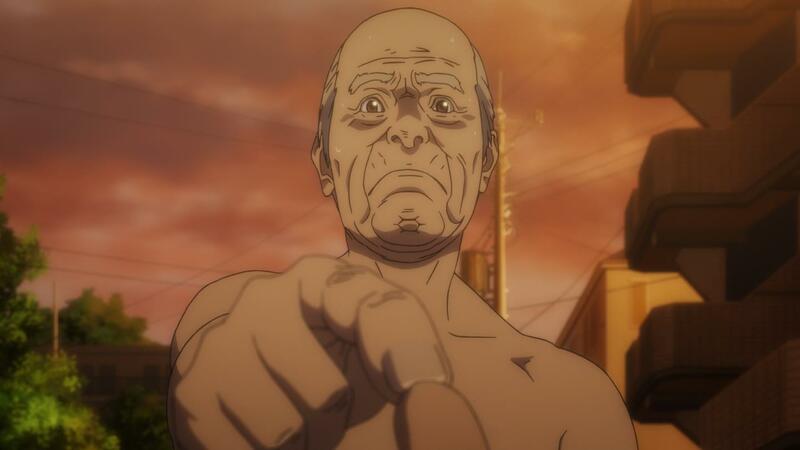 That’s where I think Inuyashiki just screams power fantasy, because it’s using a sci-fi story to basically create a scenario where these anonymous cowards on the internet actually have some consequences to their actions. Add in the whole scene of Hiro dropping in and mascaraing the media people clamoring around his father’s residence, and its pretty much more of the same. There’s some real distaste for those particular people who flock to and benefit from the personal drama, tragedy or scandal of someone. And in a real scenario, these sorts of people never really get any sort of punishment for the not so great stuff that they do, so I suppose Hiro being driven into a corner and exacting some sweet sweet justice is supposed to feel good? It doesn’t though, does it? I mean, nothing related to Hiro feels good, whether its in this episode, or the series as a whole. 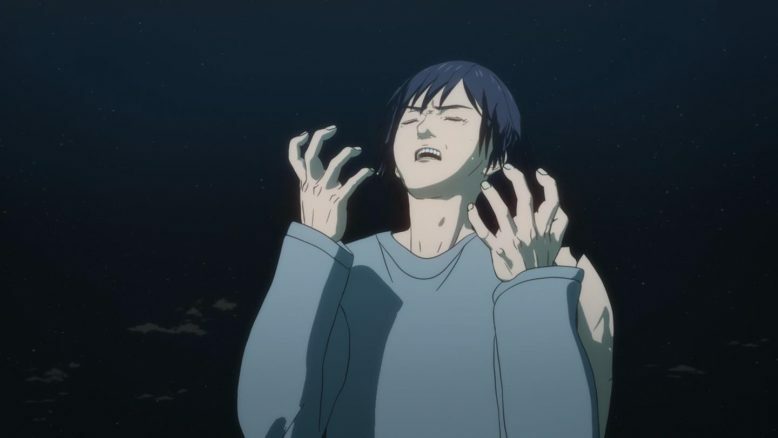 This week Hiro actually suffers and feels about a fraction of the pain that he himself dished out to a bunch of families. Hiro’s actions result in his mother being so shocked, so devastated, that the only thing she can think to do to atone is just… kill herself. His father more or less has forever been labeled as the father of a serial killer, so you can’t expect much of a great life for him in the future either. And through that, while Hiro feels pain for the people close to him that suffer, there’s rarely any display of remorse or even understanding of his own responsibility in all of this. Hiro is in pain because those closest to him are in pain, and rather than self reflect on the situation, his immediate answer is to go and kill “other” people. The very fact that Hiro’s family would never have suffered if he hadn’t gone around killing unrelated, innocent poeple is not just completely lost on him, but is a fraction of the guy’s issues. To be quite honest, Its hard to imagine Hiro being able to come to any kind of deep realization about anything, let alone his own crimes. Hiro is a broken individual, and its hard to tell where he actually broke down. Was it because of his background? His family? Did power just corrupt him so fully? Its hard to tell, and while that’s a question that I myself have, I don’t think its something that the show itself is all too keen to answer. And here’s the real thing worth noting here, I don’t enjoy seeing Hiro suffer. Does Hiro deserve to suffer? Maybe, and there’s certainly an argument for it. Do I need to see him suffer? Definitely not. There’s no enjoyment in seeing Hiro suffer, because the people that ultimately get hurt by his actions are just as innocent and tragic as the very people he’s gone and hurt. All this entire episode does, from a narrative perspective, is just move Hiro to a point where he really doesn’t care about anyone or anything, at least in the short term. There’s definitely the girl that’s sheltering him right now, but even she seems to think that he’s innocent. Would anyone really accept the true Hiro? I don’t think so. I don’t think any decent human being would want Hiro to go free and not pay for his crimes. And I suppose its Ichiro that’s going to eventually go ahead and face Hiro, and take him down. Again, I can’t see anything all too great about that, because at this point Hiro has moved away from being human, as far as I’m concerned. I don’t hate Hiro, I don’t love Hiro, I don’t feel sorry for Hiro. If this were a manga like Gantz, then we’d have seen Hiro on the sidelines, and he’d have probably long since expired. Its an interesting idea to take a character like Hiro, and give him the power and focus that he’s been given in this story. 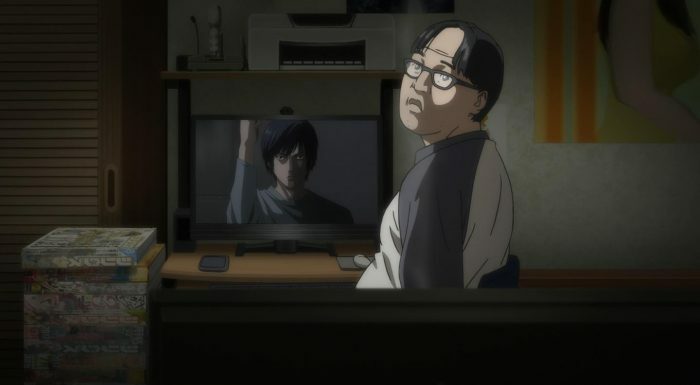 Part of me wonders why I continue to watch Inuyashiki, and I think the biggest reason is because I’m really curious about it all. Hiro as a character, has become so irredeemable, that I can’t feel anything when it comes to him. How exactly is the battle between him and Ichiro eventually going to go? Will it actually be good? Will anything in this series payoff, or was it dead as early as episode 2 when Hiro went around killing and torturing innocent families? 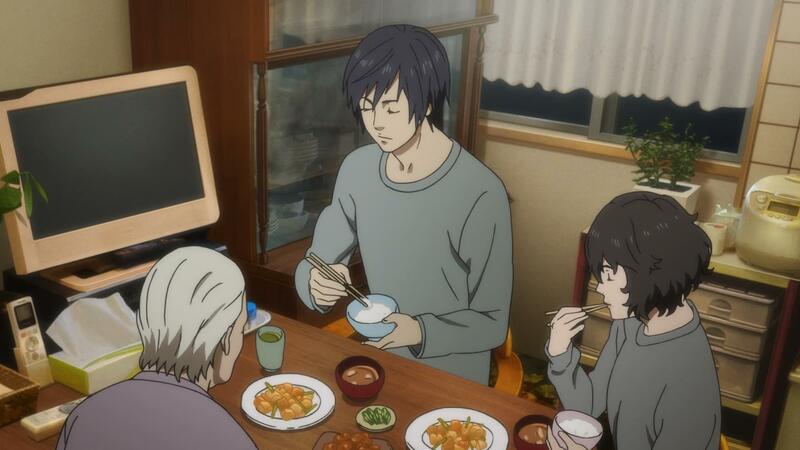 I can’t say I’m engaged with Inuyashiki at this point, but I am still curious. I’m curious to see where it goes, and what it does, but what I’ve become now is more or less a passive observer. 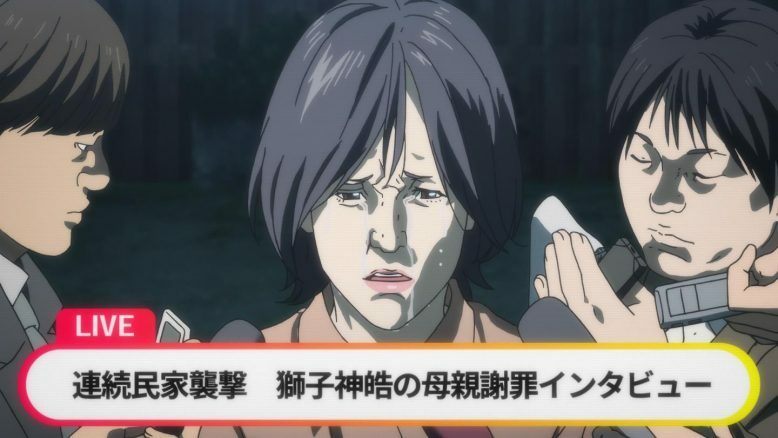 That’s just one step away from just giving up on the show entirely, so I guess as it goes right now, I’m not too hot on Inuyashiki. Maybe as things shift back towards Ichiro, then I’ll find myself enjoying the show a lot more? I certainly hope so, because while the Hiro stuff rarely works for me, I love the idea of Ichiro as a character, and I wish the series would focus entirely on him. The episodes with Ichiro at the center of them have always been the best IMO, and maybe that’s the real reason I continue to hold out hope for this series. For as bad of a character as Hiro is, Ichiro is just as good, so I suppose there’s always hope in the other half of this series.